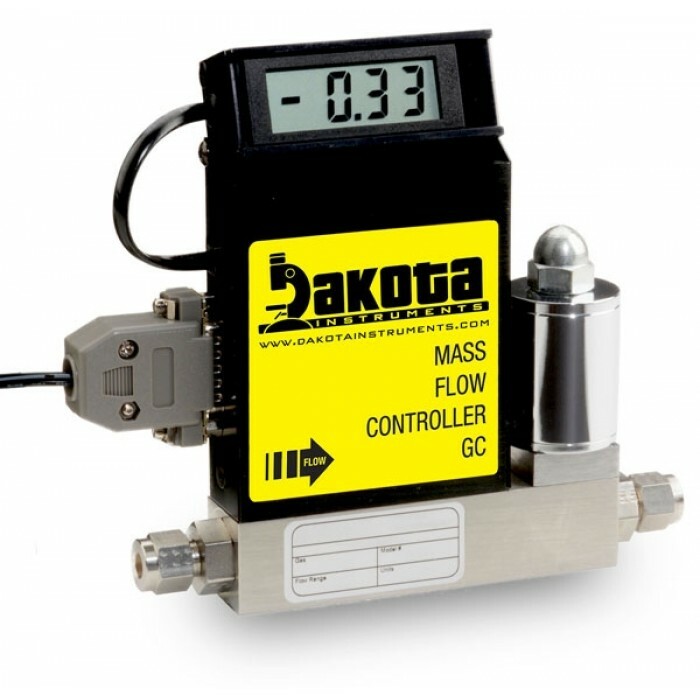 Compact and self-contained, Dakota's Mass Flow controllers are designed to indicate and control flow rates of gases. 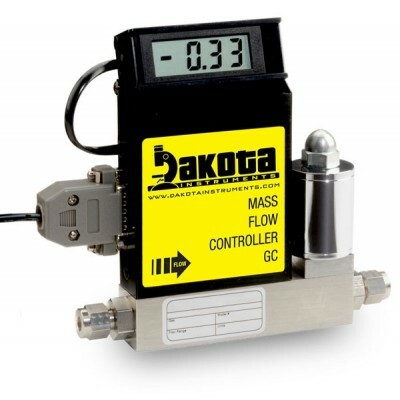 GC mass flow controllers combine the characteristics and accuracy of conventional mass flow devices at low costs previously unattainable. Available in flow ranges from 10 mL/min to 1000L/min relative to Nitrogen, each model is calibrated on-site with numerous gas selections, including gas mixtures offered. For gases and gas mixtures not shown consult with Dakota. Accuracy +/-1% full scale for models up to 100 Liters per minute. Each controller incorporates an advanced straight tube sensor in conjunction with flow passage elements constructed of aluminum and brass for non-corrosive gases or 316 stainless steel for corrosive applications. The mechanical layout of the design includes an optional LCD readout built into the top of the transducer. This readout module is tiltable over 90 degrees to provide optimal reading comfort. 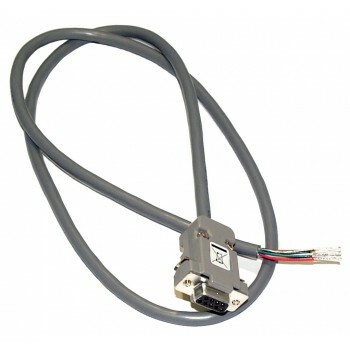 It is connected to the transducer by a standard modular plug, and is readily removable for remote reading installations. Readout option of either engineering units (standard) or 0 to 100 percent displays are available. The built-in electromagnetic valve allows the flow to be set to any desired flow rate within the range of a particular model. Set points can be controlled either locally through a potentiometer or remotely by analog signals of 0-5VDC or 4-20mA. GC5, GC6 AND GC7 models (up to 1000 standard liters per minute): +/-1.5% of full scale at 20-100% flow range. +/-3% of full scale at 0-20% flow range. 50 psi for GC1, GC3, GC5, GC6 and GC7 (3.4 bars). 40 psi for GC4 (2.7bars). 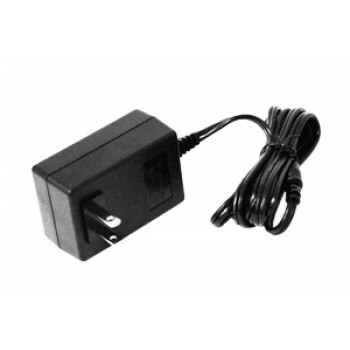 Analog 0-5Vdc or 4-20mA for remote set point mode; NPN compatible purge/valve off. GC1: 1/4" compression fittings. Optional: 6mm, 3/8" and 1/8" compression fittings or 1/4" VCR®. GC3: 1/4" compression fittings. Optional: 6mm, 3/8" compression fittings or 1/4" VCR®. GC7: 3/4" FNPT fittings or 3/4" compression fittings. GC1, GC3, GC4: Universal +12Vdc to 26Vdc, 200 mA maximum. 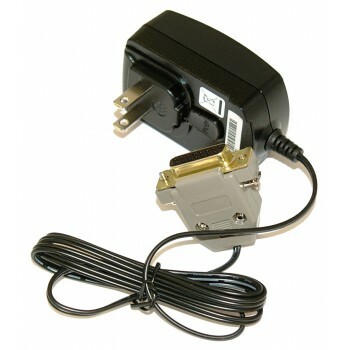 GC5, GC6 and GC7: +12Vdc, 800mA; +24Vdc, 650mA optional. Circuit boards have built-in polarity reversal protection. 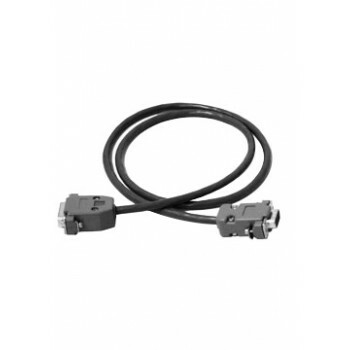 Resettable fuses provide power input protection. 3-1/2 digit LCD, 0.5" high characters.